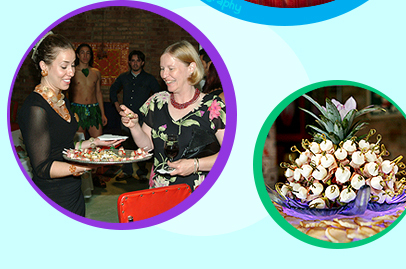 We believe that events can be a fun way to express your creativity and personality. Weddings don’t need to be a year of stressful planning. Fundraisers can encourage lots of interaction when placed in an engaging environment. Marketing events can be playful and exciting for attendees, clients and the production crew when working with professional staff. 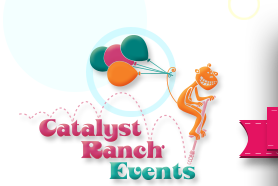 Catalyst Ranch has everything you need to get the ball rolling and start planning your celebration. Our fully furnished & decorated event rooms are the perfect setting for lively parties and festive affairs. 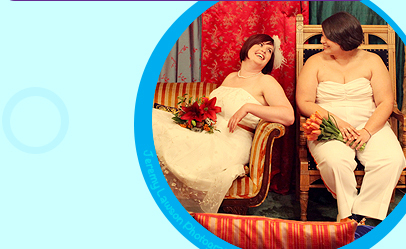 Envision your big day in a colorful setting filled with happy guests. Your Event, Our Space, SHAZAM! 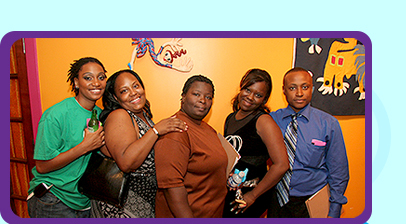 The dedicated events staff will assist you with some of the details for your festivities. Ask for a suggestion for vendor referrals, get help with Day-Of event coordination, depend on our expertise in room setup plans and much more. We love creating unique solutions for each client’s special event. It’s our specialty and we have plenty of tricks up our sleeves! The seven Preferred Caterers that work with Catalyst Ranch offer delicious catering options in any style service. If you are looking for a plated meal, passed appetizers, buffet style, or stations, any of our caterers can execute to perfection. Each of the Preferred Caterers specialize in different types of cuisine, reflecting the diversity that Catalyst Ranch celebrates every day in our creative environment. 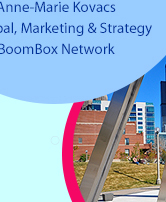 Originally the site of historic Haymarket Square (where the world’s labor movement began) and the meatpacking district, the West Loop has evolved into a lively neighborhood of cutting edge businesses, restaurants helmed by world-famous innovative chefs and a bustling nightlife thanks to popular music venues, art galleries, wine bars, brewpubs, outdoor cafes and nightclubs. The neighborhood retains its historic flavor of 1880s buildings situated on a boulevard with the back streets still plying the old meatpacking trade. Greektown borders on the south edge, providing a totally different ethnic Chicago experience. Catalyst Ranch is easily accessible. Planes, trains and automobiles, buses and El stops are all close to our venue. We also work with a nearby parking garage for discounted parking. If your guests need a place to stay, there is a wealth of accommodation options in the area or within a 5-7 minute cab ride, with more opening every day. Catalyst Ranch works with a group of select city hotels for a preferred rate on sleeping rooms. Reserve a block of rooms at a property so your guests can all be in the same location.